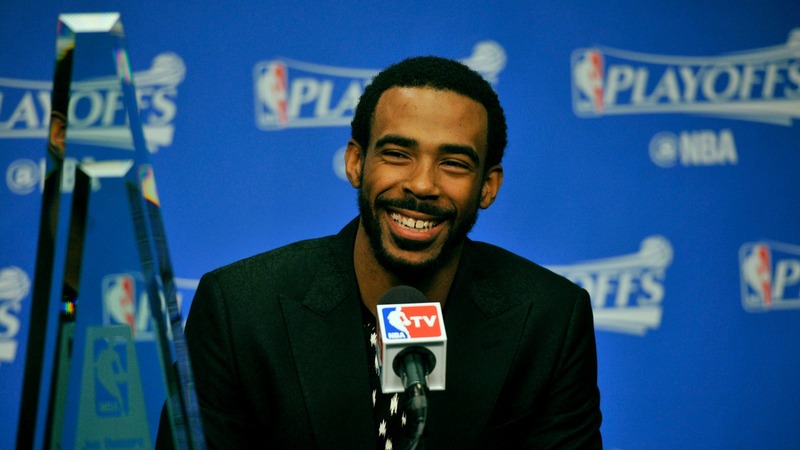 The NBA’s new salary cap has led to some colossal deals over the first few days of free agency, none bigger than Mike Conley’s 5-year, $153 million dollar deal to remain in Memphis. In terms of total value, it’s the richest contract in the history of the NBA. With the deal, Conley will just the third player to earn more than $30 million dollars in a season, joining Kobe Bryant and Michael Jordan. Grizzlies owner Robert Pera summed it up best after the Grizzlies also signed Chandler Parsons to a 4-year deal worth more than $90 million. Mike Conley, who has career averages of 13.6 points and 5.6 assists per game, is probably not a player you’d compare to Bryant and Jordan – but he hit free agency at the perfect time, just as the cap was raised and entering his 10th NBA season. In an essay published on the Players’ Tribune, Conley writes that the Grizzlies’ core of Marc Gasol and Zach Randolph are determined to prove that Pera’s spending spree wasn’t a mistake. You can read Conley’s entire piece here.